What began as a one-off charity rock concert in tribute to a friend has grown to become a popular annual event. Ronington is a nine-hour rock concert organised by musician Russ Tippins in memory of his friend Ronnie Patchett, from Ferryhill. This year was the third Ronnington and, as always, the event at Shildon Civic Hall, County Durham, raised money for the Sir Bobby Robson Foundation. This year ten local rock bands performed to an enthusiastic audience of 300, raising £5,000 for the North East cancer charity. Russ, from Newcastle, recently returned from an overseas tour, with performances as far afield as Canada and South America. He says: “We began Ronnington in 2012 and we’re thrilled by the way it’s grown and how popular the event is. “The bands are great and so is Shildon Civic Hall’s manager. They’re all so enthusiastic. They understand what we’re trying to do. “It’s for Ronnie, who was such a fan of live music, and for all the other local people experiencing the pain of cancer. The marathon concert was held in February beginning at 3pm and ending at midnight. It featured 10 bands – Bon Jovi Forever, The Karma Heart, The Last Fakers, Damaged Inc, The Russ Tippins Electric Band, The Dirty South, Blackjack, American Girl, Tin Pan Alley and The Flying V’s – and was a mix of popular up and coming acts and well known names on the regional rock circuit. 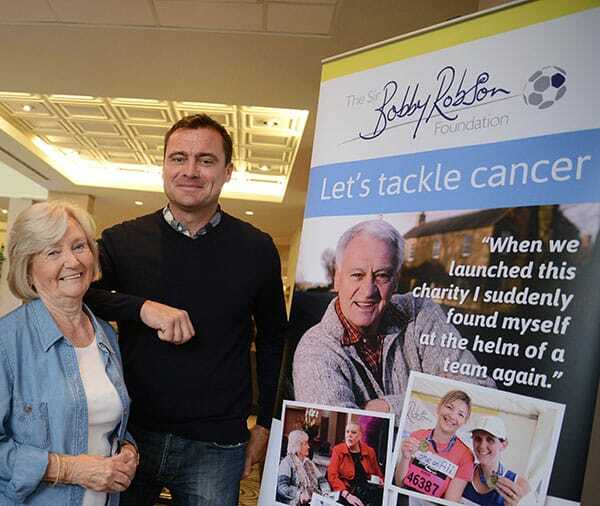 In total, over the last three years, Ronnington has now raised almost £13,000 for the Sir Bobby Robson Foundation and Lady Elsie was very pleased to meet with Ronnie’s widow, Sue, and Russ to be presented with the cheque from this year’s event. Lady Elsie says: “It was a great pleasure to meet Russ and Sue once again. 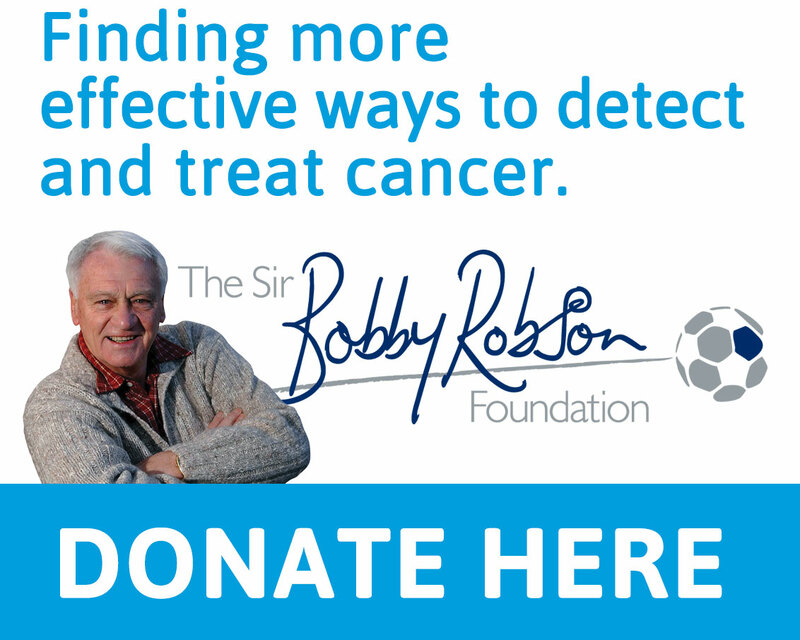 Their support for the Foundation is wonderful and they’re doing Ronnie’s memory proud. “I’m a great fan of live music, as was Bob, but I’m not sure I could manage nine hours of it. There must be some very big rock music fans in our region. Ronnie Patchett worked for the Coal Board for many years and died from bowel cancer aged just 54. He was diagnosed in November 2009 and was given the opportunity to trial a new drug at the Sir Bobby Robson Cancer Trials Research Centre. As well as being a great fan of live music Ronnie also enjoyed spending time outdoors and was very active in his local community, becoming a school governor as well as a Councillor for Ferryhill and later for the Borough of Sedgefield. Ronnie’s wife of 34 years, Sue, and children Amy and Marc attended Ronington III and it is always a special night for their family. Our thanks to Star Shots for the fantastic concert images.